Each season, Los Angeles Chamber Orchestra commissions and premieres a new piece of music composed especially to suit its unparalleled musical talents. This excerpt from “Petrichor,” by 2017-18 sound investment composer Ellen Reid, premiered last season as part of the Orchestra’s Sound Investment program. The world premiere of “Petrichor” was led by Scottish conductor Douglas Boyd. In Ellen’s “spatialized” arrangement, a number of musicians were placed behind the audience. LACO horn player Kristy McArthur Morrell and Marissa Benedict, principal trumpet of the Pasadena Symphony and Pops and the Modern Brass Quintet, were stationed on the balcony. Spearheaded by a group of investors who each pay $300 a season, the Sound Investment funds new work and, in exchange, investors get to follow its development, engaging with the composer from inception to premiere and enjoying a rare insider’s view of the creative process. There is still time to enroll in the 2018-19 Sound Investment program and support composer Sarah Gibson as she begins composing a new piece! 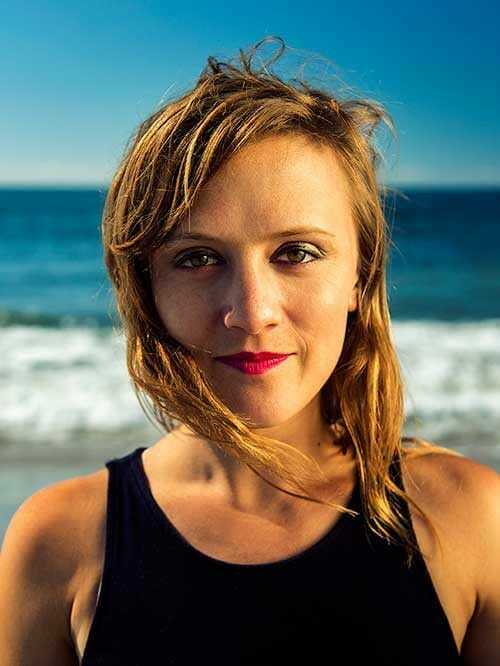 Lauded as “a serious talent to watch” (The Atlanta Journal-Constitution), Sarah is a Los Angeles-based composer and pianist whose music is inspired by the physicality of performing and the communication that occurs between performers onstage.